Name: Year on Back: 2018No Year Sorry! This item is sold out! Our handpainted, personalized Starfish ornament is approximately 5" x 6" in size. 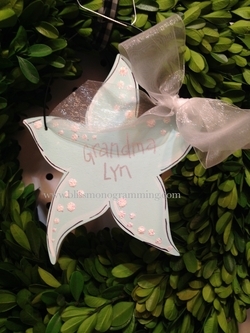 Made of light wood, it's adorned with glitter and ribbon.